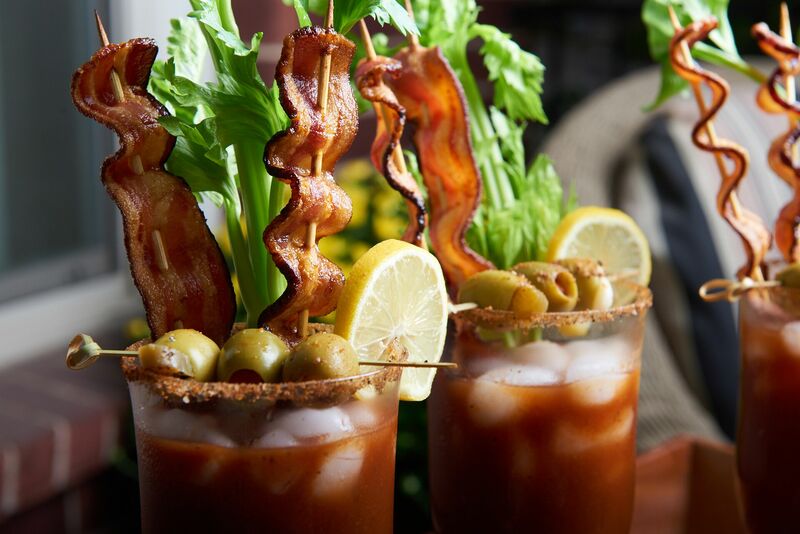 Run a skewer through each slice of bacon, lengthwise. Place a metal cookie cooling rack on a cookie sheet or in an aluminum full pan. Grill over medium heat for 20-25 minutes on each side or till desired doneness. Or bake in a 400 degree oven for 20min (chewy bacon) or 25min (crispy). Remove from oven and brush each slice of bacon with maple syrup, then sprinkle brown sugar on each slice of bacon on both sides. Place back in oven for 5 minutes to melt brown sugar.